Leigh Allen-Arredondo is the host of the UX Cake podcast www.uxcake.co, and Head of UX and Product at Spruce Up www.getspruceup.com, an early-stage Madrona Ventures backed start-up in Seattle, WA. 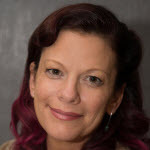 Leigh is a UX practitioner, evangelist and leader with over 20 years of experience in the discipline of human-centered design & research for software, web, and mobile apps, for companies big and small, from Amazon and Getty Images to start-ups and agencies including Blink Interactive. UX Cake is a podcast focused on being more effective in our work and our careers in UX. Every episode we talk to experienced pros and industry insiders from around the globe, getting practical advise on how to increase the value of our work, and get the best outcomes for our teams, our users, and our selves. Our aim is to help our UX community become stronger and more effective, by sharing the experience and expertise from leaders in the field. The podcast launched in February 2018 and has a rapidly growing audience of UX pros around the globe.